Administration is underway for the 2013 Healthy Kids Colorado Survey! 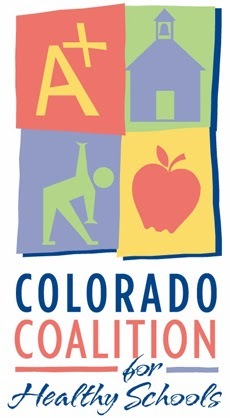 The Healthy Kids Colorado Survey (HKCS) is supported by three state agencies: the Colorado Department of Education, Colorado Department of Public Health and Environment, and Colorado Department of Human Services-Office of Behavioral Health. The selected contractor, University of Colorado Denver (UCD) administering with hundreds of middle and high schools in Colorado. The Healthy Kids Colorado Survey serves as the instrument for a unified approach to youth surveys. In Colorado, the survey and method also meets the requirements of CDC's Youth Risk Behavior Survey (YRBS), serves as our youth tobacco survey, and well as a number of other local, state and federal requirements. If you have any questions, please visit www.hkcs2013.org, where you can view the surveys, frequently asked questions, and a PowerPoint overview presentation to learn more about the HKCS Steering Committee, Advisory Committee and other survey updates. If you have any other questions, please contact the project director, Dr. Jennifer Patnaik (303-724-7761, jennifer.patnaik@ucdenver.edu) or CDPHE School Health Specialist, Amy Dillon (303-692-2398, amy.dillon@state.co.us).